Paua shell dragonfly bracelet with CZ crystal decoration. 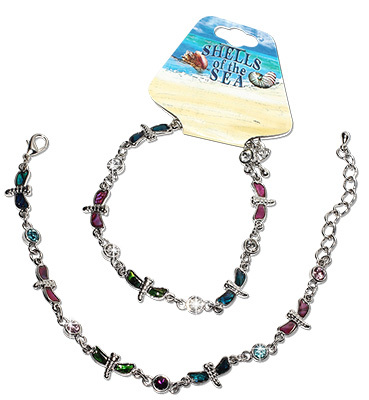 Assorted shell and crystal colors. Bracelet length with extension chain for anklet fitting.